What’s really going on behind school doors? Hear Our Teachers is a documentary exploring the reality and offering “virtually cost-free answers to the education crisis” based on real educators’ experience and vision. Laurie Gabriel, the creative force behind Hear Our Teachers, discusses her project on the Education Town Hall. Gabriel is a veteran teacher and videographer. She has taught grades K-12 in everything from struggling inner-city schools in Denver, CO to rich private schools in Potomac, MD. Her previous video work was classroom-centered. For this film she is partnering with her filmmaker husband, Ethan Gabriel. Thursdays at 11 Eastern on We Act Radio. Shows are archived for convenient listening shortly after broadcast. amplify voices for community-based, student-centered, teacher-informed education solutions. Only a few hours left. Please help out if you can. 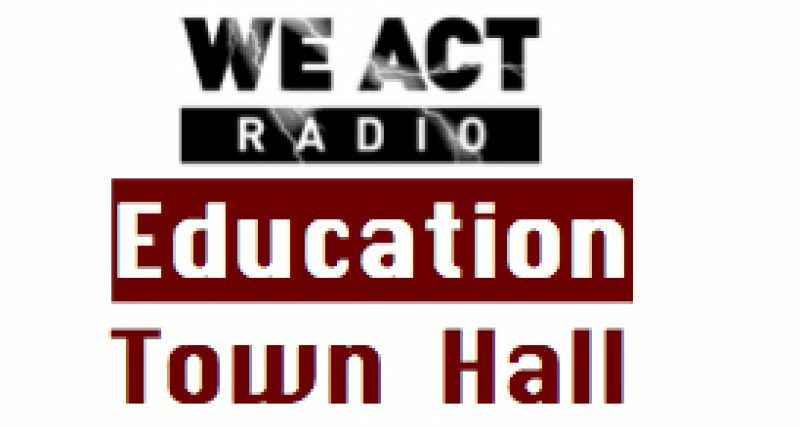 The Education Town Hall with Thomas Byrd is the contemporary meeting place facilitating the construction of effective community-supported education solutions and strategic transformational actions. All are welcome.